Botanical medicine is the study or use of medicinal herbs to prevent and treat diseases and ailments or to promote health and healing. Plants are an important part of nature in which we evolved. They produce the oxygen we breathe. Each herb has various properties and actions. Cura' Natural offers a wide range of herbal remedies, herbal treatments and herbal supplements. Various herbal preparations are used at Cura' Naturale. 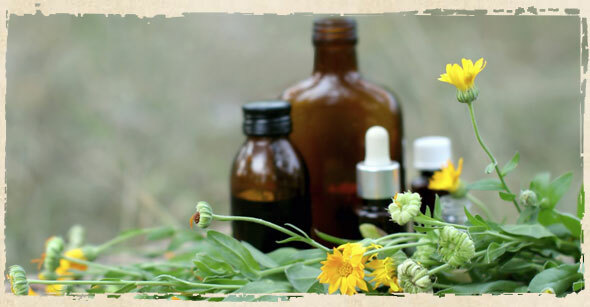 The herbal preparation chosen is dependent on the weakened organ systems in the body that need healing, taking into consideration the diagnosis of the patient. These forms include: a liquid extract, tea, capsule, compress, powder form, herbal oil, essential oil, salve (ointment), poultice, etc. The dosing amount and times per day of the botanical medicine is dependent on the imbalance in the body.